My new (mobile friendly) website has more pools and Pool houses I designed on tricky sloping sites including one Poolhouse and pool completely solar powered and heated. have your own plans you can shop around for the best price. Steel up. A double cage of R12,s at 150 centres with a ring beam of R16's was used. 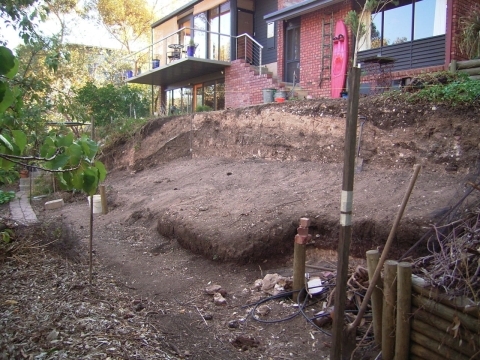 A series of strip footings was put down before steel was put in place to key the pool into the slope. 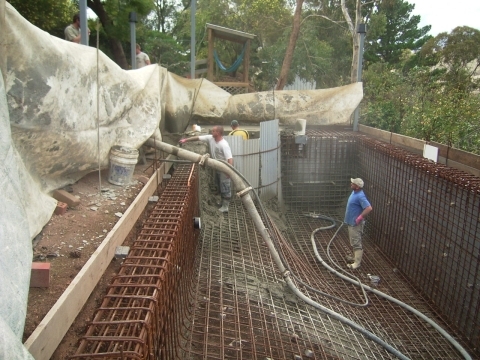 Engineering was by local firm Magryn and Assoc. 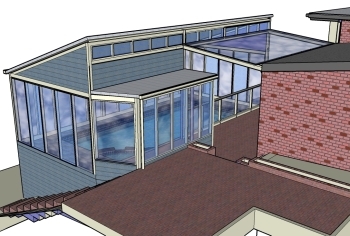 Preliminary sketch of finished pool enclosure. Shell finished. My plant room sits under the pool deck providing for quiet operation. 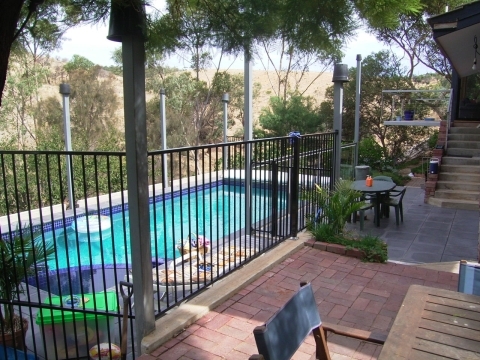 Ready to swim- Temporary fencing up & enclosing room still to be built. 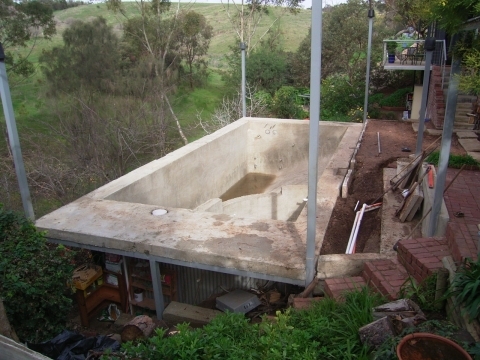 Note the flower pots as rain shields until the top beams are welded on.